On Wednesday, President Donald Trump met with Pope Francis, and the pope literally looked like the part of America that didn’t vote for this man. The pope looks like he’s the lead singer of Pope and the Russians, an alternative goth-rock band, and he doesn’t like the band’s new sound. 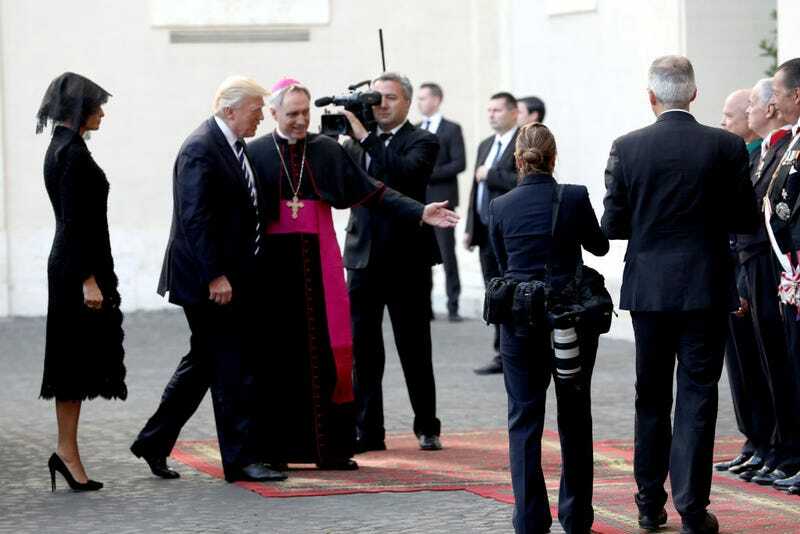 This photo looks like the poster for National Lampoon’s the President Goes to the Vatican. Clearly, Pope Francis is the physical embodiment of all of America right now.